Culled from:The Huffington Post (Click here for original article). You’re in a jail in a remote region of southwestern China. The men who arrested you have confiscated your mobile phone, which contains photos of a Public Security Bureau official brutally beating a young man who organized a protest over the working conditions in a local salt mine. No one knows where you are and the police officer sitting opposite you is not smiling. But what he doesn’t know is that you have already used your phone to send the photos over the Internet to a prominent human rights organization who has distributed it to the international press. Your phone has automatically replied to a text message inquiry as to your whereabouts with your GPS coordinates. A friend is on her way to the jail in a jeep with a civil rights lawyer, and your detention is already being discussed in Congress. The same friend has remotely erased all incriminating material off your mobile. Without evidence, the police have no choice but to set you free with a warning. The Guardian–a revolutionary mobile phone software–will embody a number of such James-Bond-like features especially designed with these situations in mind. Its developer, Nathan Frietas, who has been writing code since he was eight years old, is one of a growing community of digital specialists who are bringing their skills and knowledge to social justice causes. 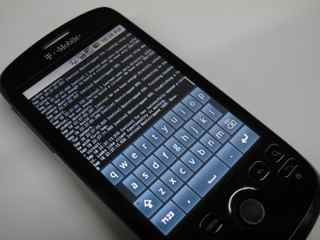 He describes Guardian as “the first open-source, secure, privacy-focused mobile phone with a target user base of activists, human rights advocates–people working for good and change within difficult circumstances.” Open source describes an approach to the design, development, and distribution of software that allows public access to the source code, and encourages peer-based collaboration to customize the source code for the needs of specific users. Guardian’s software is especially designed for privacy and security, including a foundational network that protects anonymity and offers secure web access. Internet use is the critical issue of mobile phone security, as mobile phone operators generally have much more control over their networks than do Internet providers. Guardian also offers encrypted SMS, voice messaging and walkie talkie options, ingenious ways to hide information, and instant one button erase all for sensitive content. The software will also include custom citizen journalist tools as activists often find themselves playing the role of reporters in places where access by independent journalists has been restricted. Tenzin Dorjee, Executive Director of Students for a Free Tibet, sees the Guardian phone as “a game-changing tool” for social justice movements. He points out how Tibetans routinely get arrested, tortured and imprisoned for phone conversations that are tracked and censored by Chinese authorities. The Center for American Progress agrees. In a recently published report, the liberal think tank calls on the US government to take steps to apply technologies such as mobile phones to the issue of human rights abuses, and proposes direct collaboration between human rights workers and new technology researchers and developers. The Guardian software is designed to be compatible with Google Android mobile phones, 18 variations of which will be on the market by the end of 2009. Anyone who buys an Android phone and has Internet access will be able to upgrade to Guardian for free, says Freitas. “The vision is that some young person somewhere in the world goes to a night market, picks up an HTC [Android] phone, downloads the software off the internet, and we’ve enabled someone to have this phone in their pocket. ” Once someone downloads the file onto a secure digital (SD) card, they can then pass the software from one phone to another, by-passing the Internet. Guardian looks destined to become a must-have for human rights defenders the world over. But activists aren’t the only people interested in protecting their privacy and security, and the projections for Android phones puts Guardian on the breaking end of a potentially massive wave. Analysts predict that by 2012, Android will become the world’s 2nd most popular smartphone platform, pushing iPhone into 3rd place, and that the shipment of Android phones will close in on 32 million by the following year. Ben Wood, an analyst with CCS Insight, told the BBC that social networks “are the fuel propelling the momentum,” behind an anticipated explosion in the sales of smartphones next year–a market that has proved persistently resilient to the global recession. While the rest of the world is exchanging jokes, pick up lines and film reviews, however, civil resistance groups and activists are using communications technology to more effectively network and organize against authoritarian states. This is an example of what Patrick Meier calls an irevolution–the merger of technology and individual empowerment that he believes has the potential to change the balance of power between repressive regimes and resistance movements in favor of the resisters. Meier, a doctoral research fellow at the Harvard Humanitarian Initiative, sees the Guardian phone as one example of the “technologies of liberation” to emerge from this union. It’s a good bet that states like China that have become expert in managing citizen access to information, will respond to Guardian by stepping up their monitoring and filtering technologies. And if these attempts are successful, then people working against the interests of authoritarian states may be making themselves more vulnerable by using these phones, especially since their increased sense of protection will encourage them to act less cautiously with politically sensitive information. “In the state-of-the-arts censorship system in China, there is a great need for technology that provides secure data and communication tools, says Sharon Hom, the Executive Director of Human Rights in China. “The Guardian phone could be empowering, depending upon specific functions, ease of use, and price–and its ability to stay ahead of the censors.” It’s this ability to stay ahead of the censors (and hackers) that will be the measure of Guardian’s success. Greg Walton, a fellow at Toronto University with the think tank SecDev and consultant for Psiphon–a human rights software project whose censorship circumvention software is part of the Guardian package–is cautiously optimistic about Guardian’s future. In the Spring of 2009, his group at Toronto exposed “Ghostnet”–an international computer spy ring that had infiltrated embassies and government offices around the world. Walton is part of Psiphon’s “red team” that attempts to hack its own technologies to find possible security weaknesses that the “black hat” hackers (i.e. the bad guys) might manage to exploit. Walton is the author of a seminal study analyzing China’s censorship and surveillance systems. If Guardian proves to become the tool of choice for activists, he says, “the Chinese state is going to mobilize significant resources both technical and human, to monitor and block networks of people using it.” He points out that China now leads the world in internet censorship, a technology that was once believed to be impervious to government interception. “It’s definitely an arms race,” admits Freitas, who envisions keeping one step ahead of the “black hat” hackers through regular system upgrades that can be easily downloaded, much like Firefox. The trend of toys for social fraternizing becoming tools for social change is on the rise. Twitter did not define the post-election Iranian protests, but it galvanized international concern by bringing the living rooms of the world into the dust, terror and excitement of the streets of Tehran. Perhaps more importantly, it created a forum to unite the personal and real-time narratives of ordinary people that not only challenged state propaganda but made it seem silly. The Guardian phone may well have a similar role to play in future movements. And as ordinary citizens gain increased access to secure communications technologies, the autocracies of the world may find it increasingly difficult to dominate the story.